In Danish we say "first to the mill", meaning 'first come, first serve'. That magic moment when the bicycle achieves momentum. 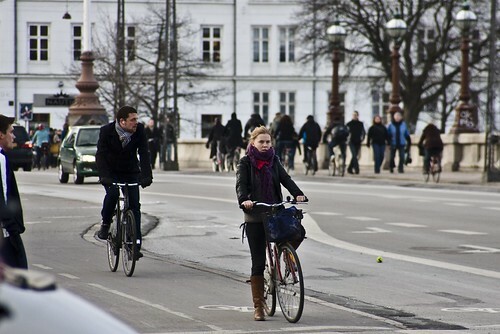 does everyone ride bikes in copenhagen? 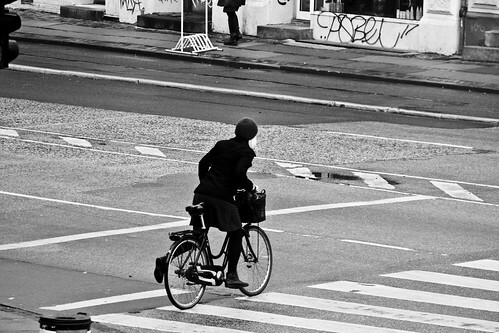 The question should be: "Does anyone who is not cool ride bikes in Copenhagen?" Never mind that . . . the bigger question is, "why aren't all SUVs like the monster one pictured?" I love this site! It is so inspiring! I am so hooked on pretty bikes right now as you can see from my blog! Except mine turned into an ice sculpture this morning!! 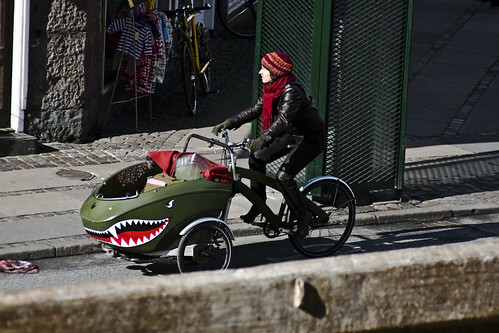 It looks like the shark is fur lined, which would be really funny if true!